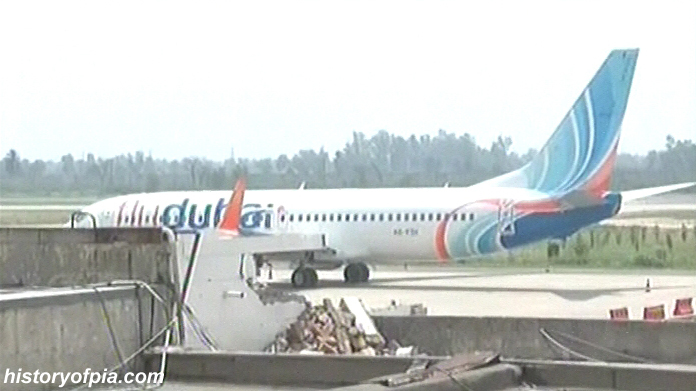 A flydubai Boeing 737-800 taxiing at Faisalabad International Airport. 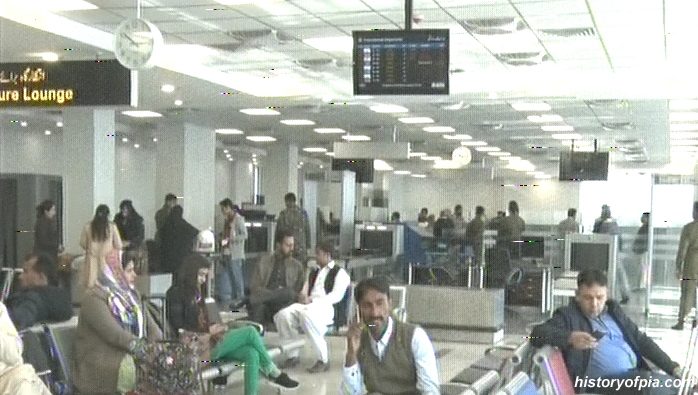 * With increasing number of international flights & passengers, Faisalabad Airport earned profit of more than two hundred fifty million rupees in last six months of 2017. * The airport's new terminal building equipped with boarding bridges will be inaugurated in 2018. 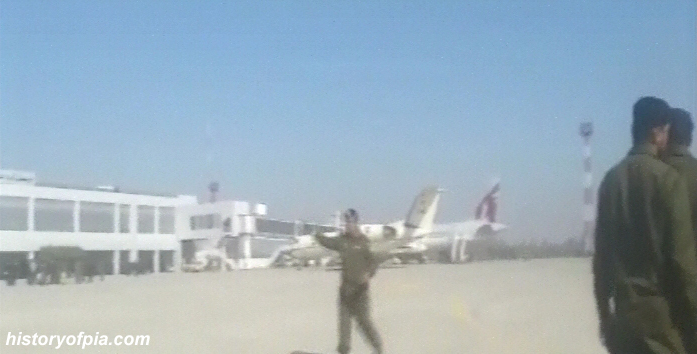 Gulf Air Airbus A320 flight served by boarding bridge at Faisalabad Airport. 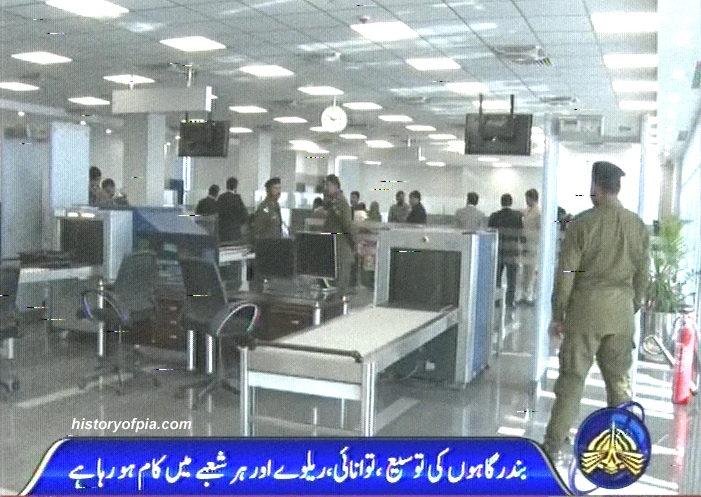 Faisalabad International Airport terminal building expansion work completed. 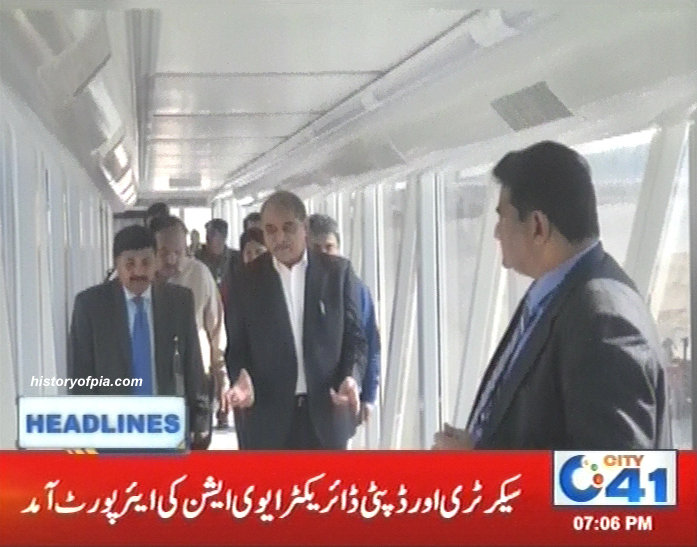 Today, Secretary Aviation & Chairman Civil Aviation Authority (CAA) Board Squadron Leader (Retired) Muhammad Irfan Elahi arrived at Faisalabad International Airport where he reviewed arrangements for airport's new terminal building inauguration ceremony. 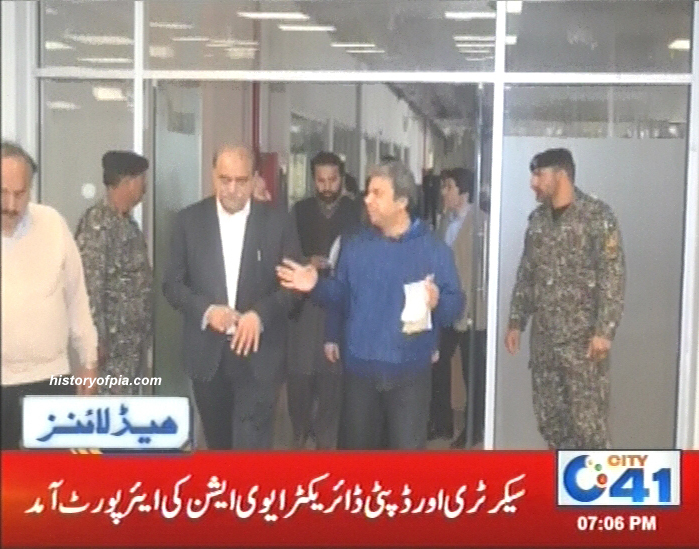 The terminal building inauguration is expected to be performed by Prime Minister Shahid Khaqan Abbasi on January 20. 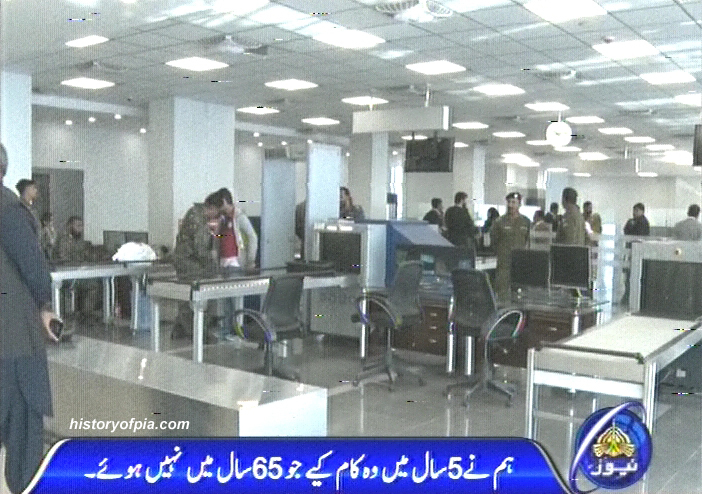 The new terminal building constructed at a cost of 1.5 billion rupees is already fully operational. 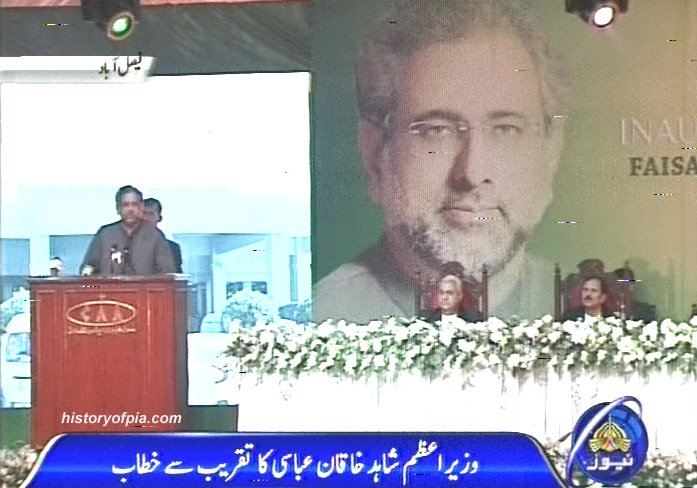 The inauguration ceremony had to be postponed three times in the past due to incomplete work. 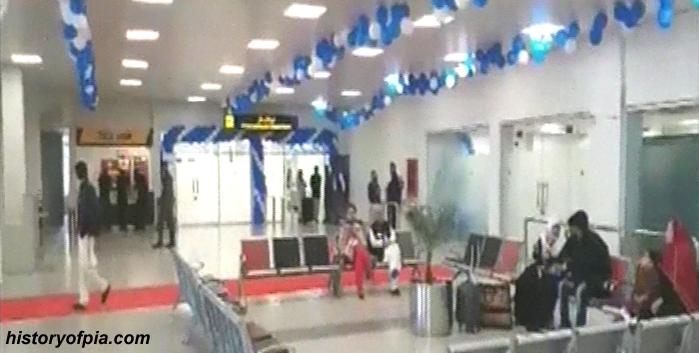 The new expanded and upgraded terminal building equipped with boarding bridges has separate areas for international & domestic flight arrivals/departures. 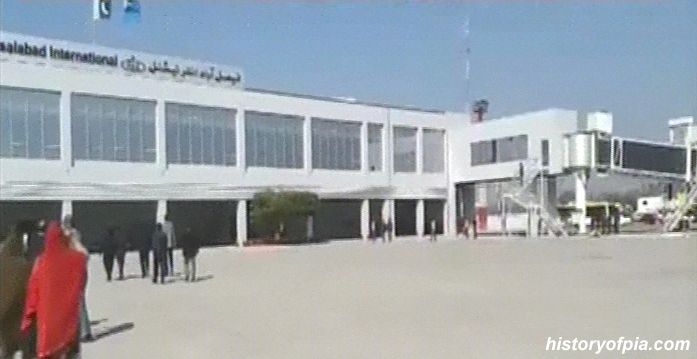 Earlier, the old terminal building had same area for international & domestic flight arrivals/departures that complicated and created hurdles in smooth operations of Federal Investigation Agency (FIA) Immigration, Customs, Anti Narcotics Force (ANF) and Airports Security Force (ASF) because of international and domestic flight passengers getting mixed in the terminal building. 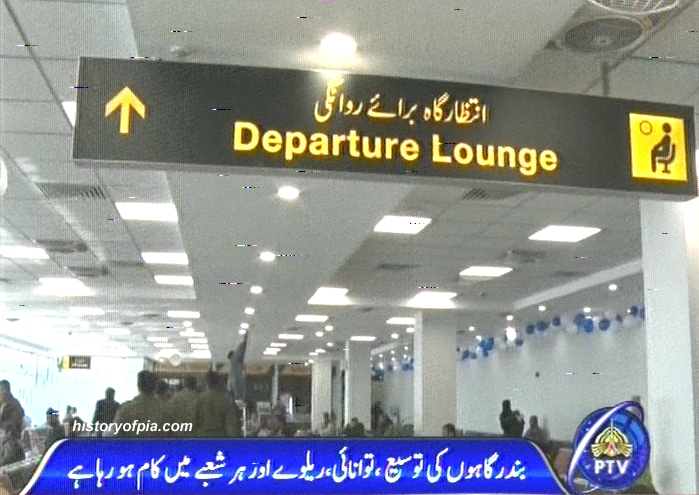 Civil Aviation Authority (CAA) Director General Asim Sulaiman will reportedly not attend the ceremony to inaugurate the extended area of Faisalabad International Airport. Sulaiman, with this decision, plans to avoid reaction of the staff and the officers who have been demanding his resignation. 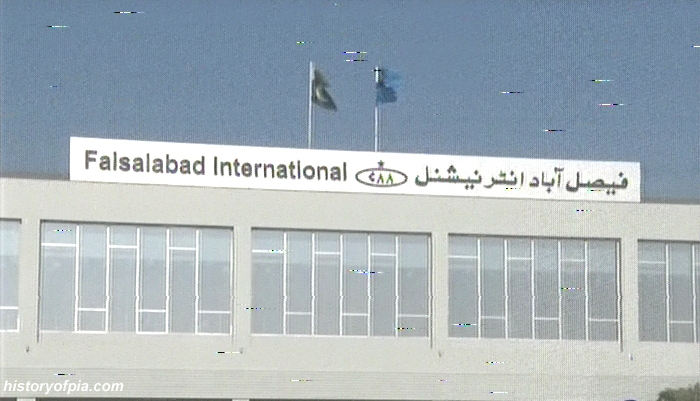 Earlier, project directors of Peshawar, Quetta, Islamabad, and Faisalabad airports wrote to the CAA aviation adviser, warning that they will not be able to intervene should such a development takes place. 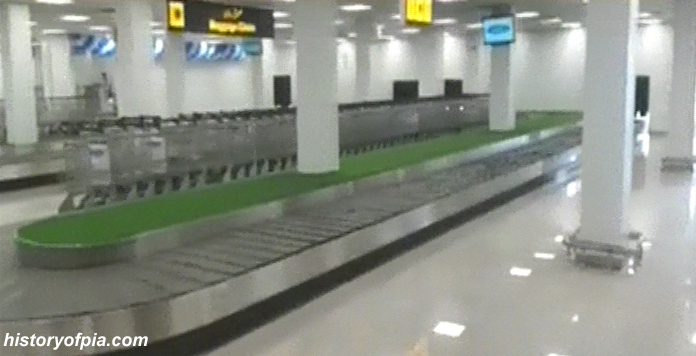 The extended airport is set to be inaugurated by Prime Minister Shahid Khaqan Abbasi on January 20. 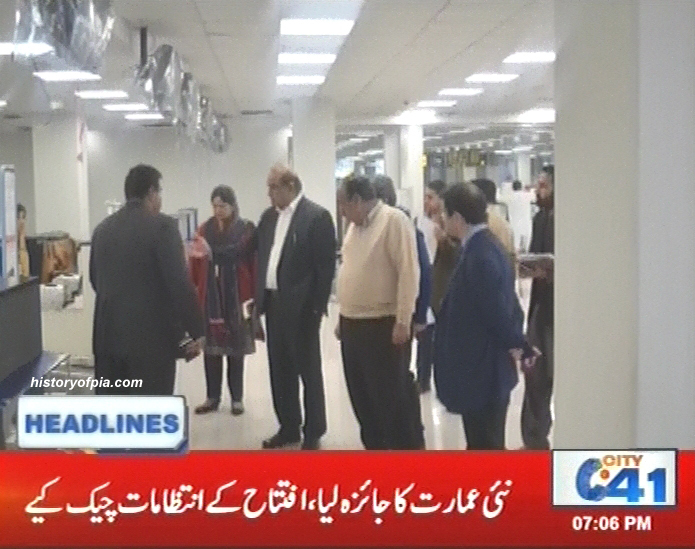 On January 15, officers and staff of the CAA suspended their office activities and staged a protest for many hours at Terminal-1 against the possible arrival of the authority’s chief at its head office. The protesters wore black arm bands and attempted to block the possible entry of the DG into the authorities headquarters. They even locked the backdoor of the building leading to the runway apart from locking the doors of the parking area. 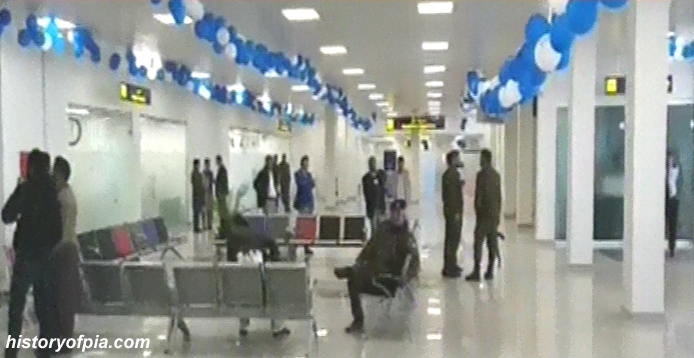 The expanded terminal building of Faisalabad International Airport was inaugurated by Prime Minister Shahid Khaqan Abbasi today. * The airport terminal building area with expansion has been increased from 36,000 square feet to 73,000 square feet. 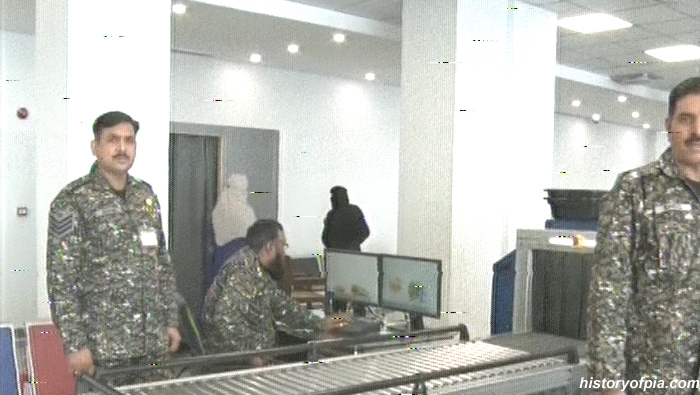 * The domestic flights terminal is now capable of handling 200 passengers with 4 additional counters. 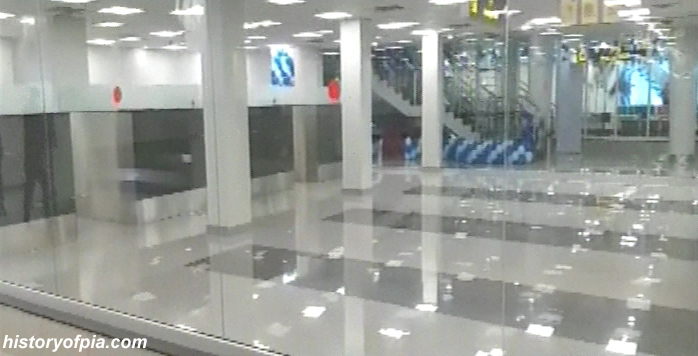 * The international flights terminal is now capable of handling 400 passengers with 12 counters. 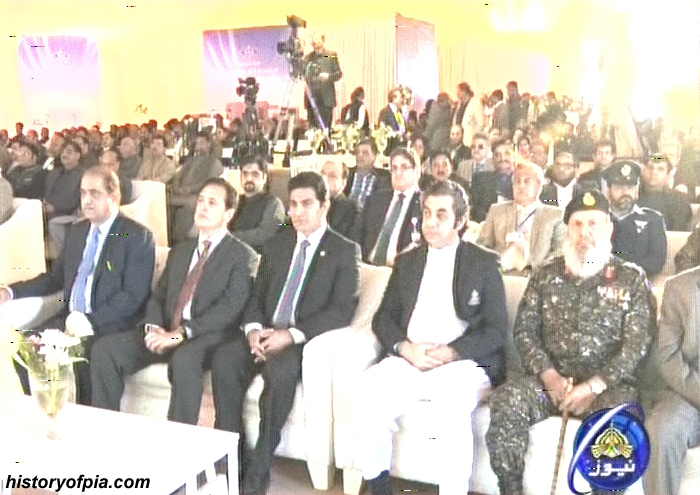 Prime Minister Shahid Khaqan Abbasi addressing Inauguration Ceremony of Faisalabad International Airport Expansion Project. * The project has been completed within time at lowest possible cost. * When the government came into power, Faisalabad - Pakistan's third largest city and an industrial hub - had an airport equal to nothing. 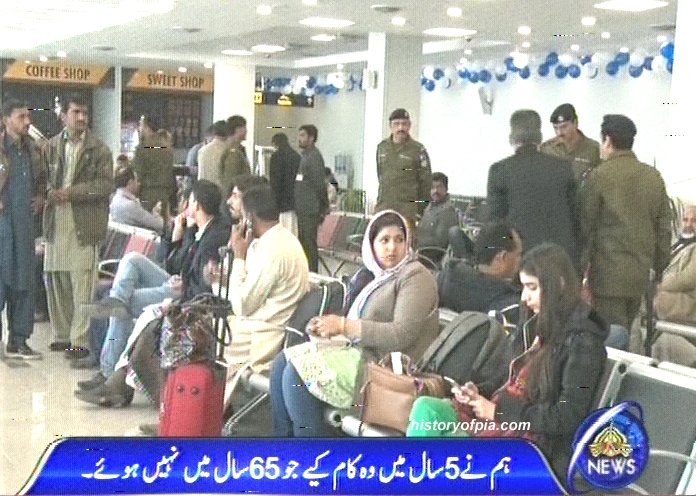 * The airport was served by very few and sometimes just a weekly flight in year 2015. 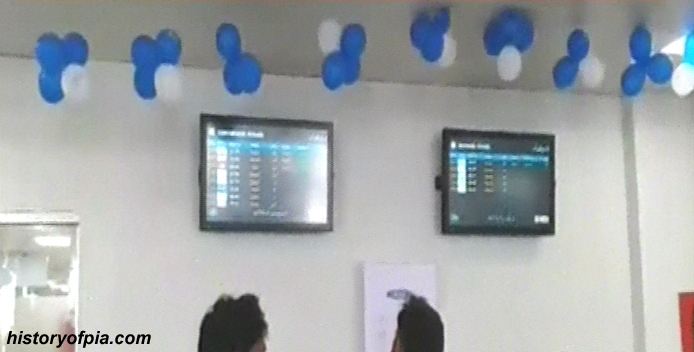 * Now the airport is served by 118 weekly flights. * Aviation is the backbone of economy and especially exporting economies cannot grow without aviation. 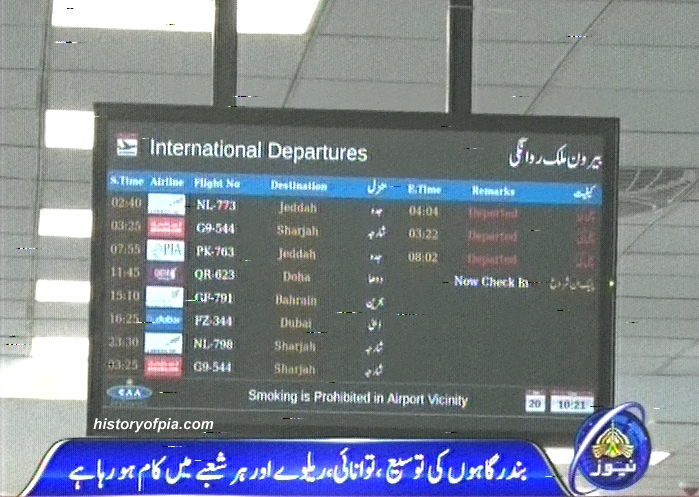 * Within weeks the number of flights serving Faisalabad Airport will increase further and authorities should begin work now for future expansion of the airport. 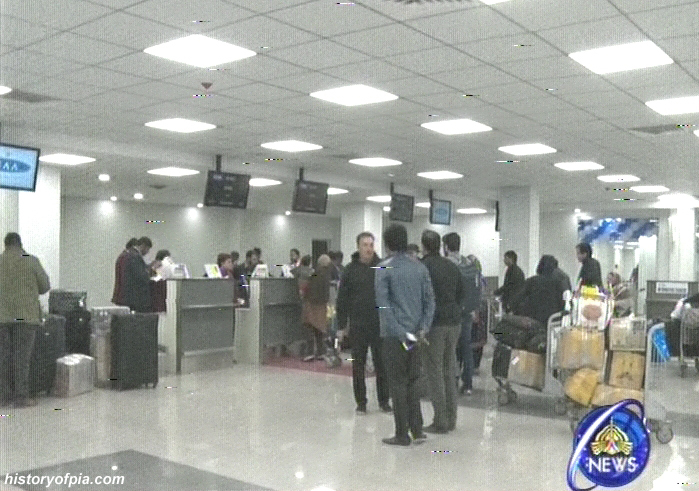 The flights will increase to 500 weekly in the near future and the terminal building will not be able to serve them. * In aviation when you give modern facilities the business/traffic itself starts coming to you. 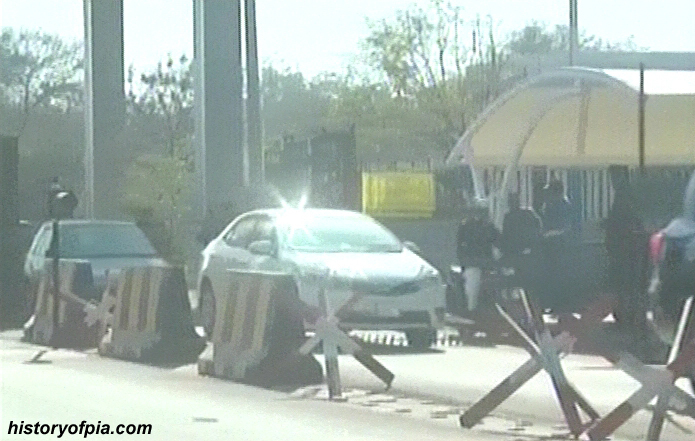 * Link road will be constructed between Faisalabad Airport and motorway. 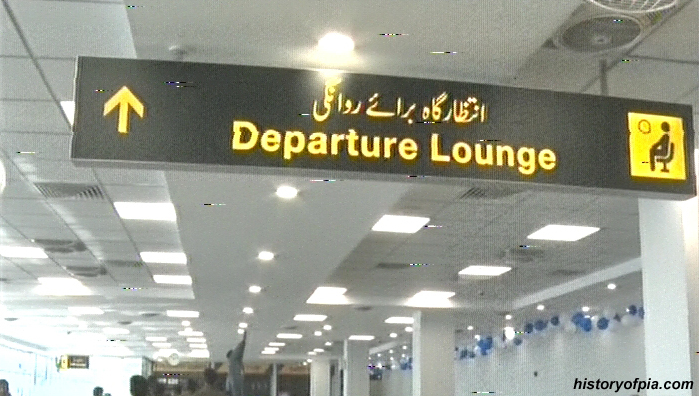 * Previous governments had ignored Faisalabad Airport. 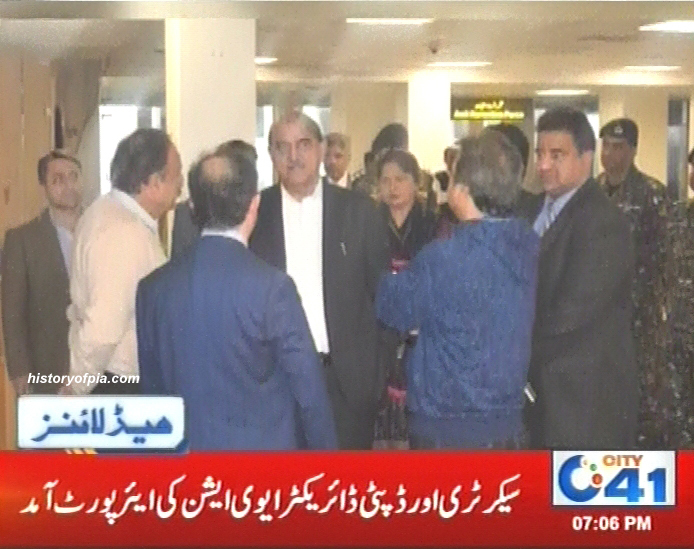 * Faisalabad Airport expansion project completed at a cost of 1.5 billion rupees will help in improving economy and business growth, creation of jobs opportunities in the area. 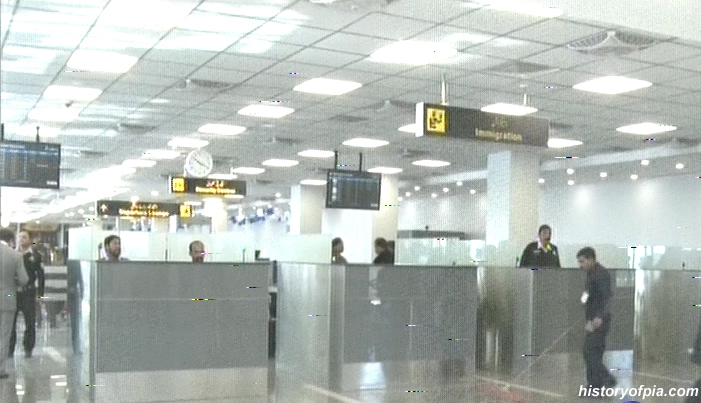 The expanded airport will also increase tax collection. 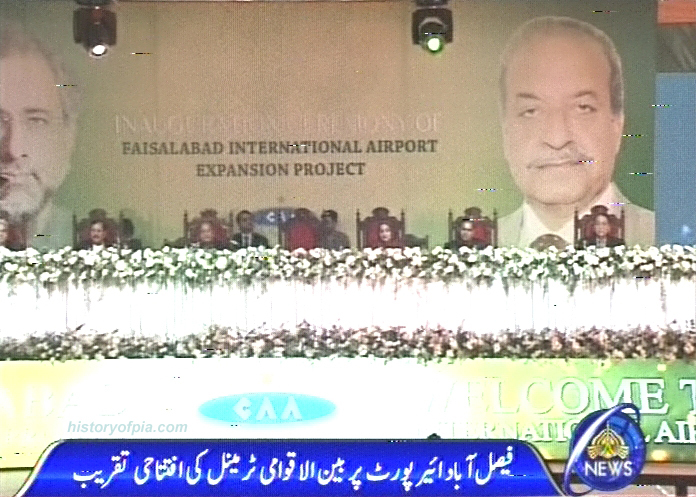 From PTV News report about Inauguration Ceremony of Faisalabad International Airport Expansion Project. 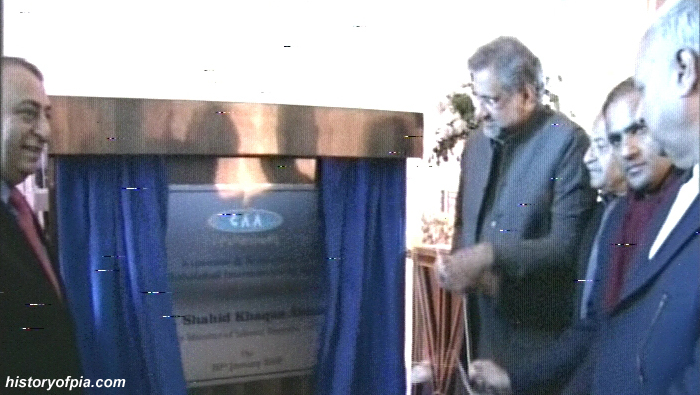 Chairman PIA, Secretary Aviation and Chairman CAA Board Squadron Leader (Retd.) 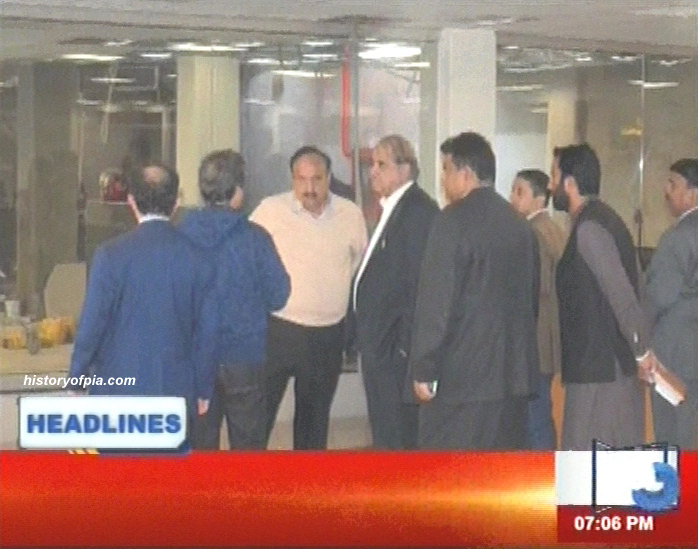 Muhammad Irfan Elahi, Director General (DG) CAA Air Marshal (Retd.) Asim Suleiman and CEO PIA Dr. Musharraf Rasool Cyan. 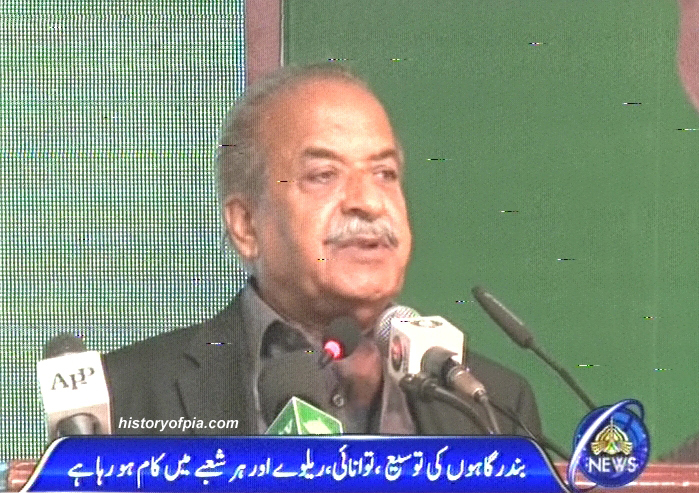 Adviser to the Prime Minister on Aviation Sardar Mehtab Ahmed Khan Abbasi addressing the ceremony. 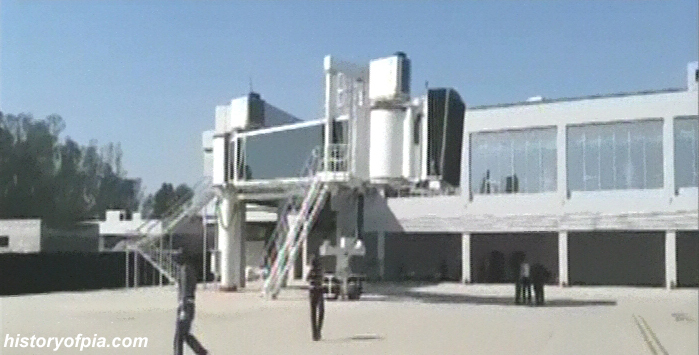 Faisalabad International Airport terminal building with boarding bridges. Qatar Airways Airbus A320 (A7-ADD) getting ready to perform flight QR-623 from Faisalabad to Doha. Coffee and sweet shops visible in the background. 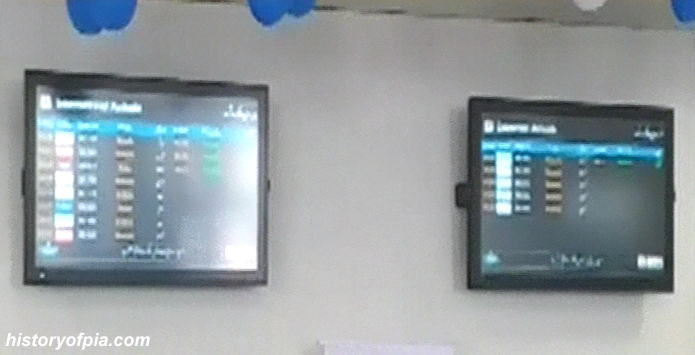 Screen displaying international flight departures. 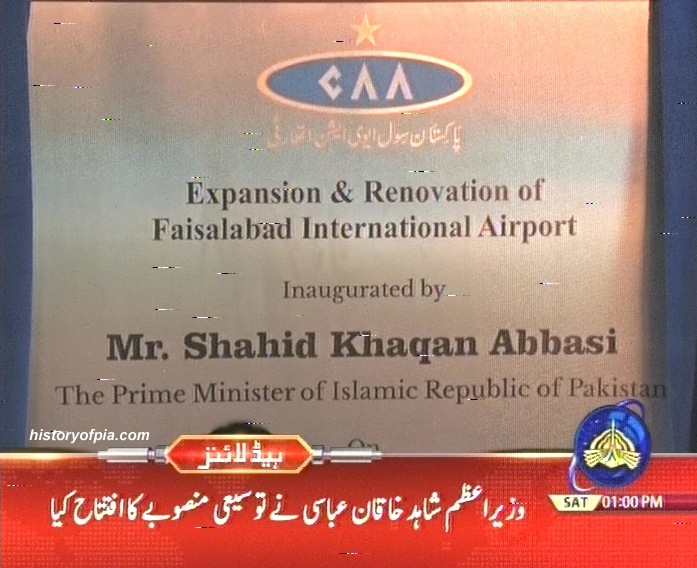 From reports about Inauguration Ceremony of Faisalabad International Airport Expansion Project. One of two boarding bridges. PAF Gulfstream (J-755) and Qatar Airways Airbus A320 (A7-ADD). 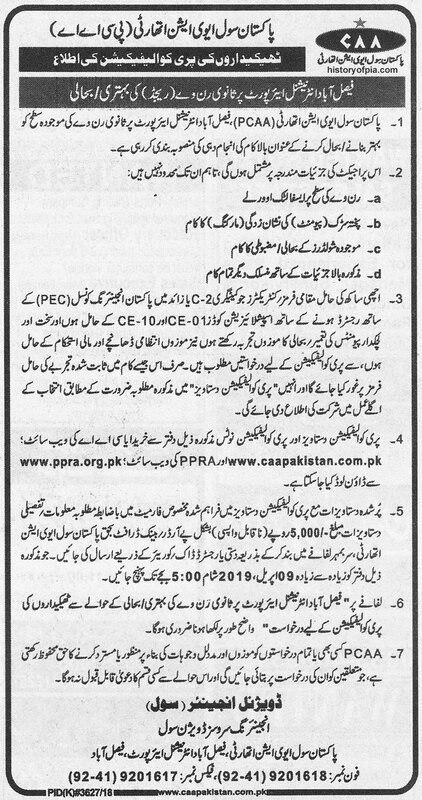 Faisalabad International Airport page on Pakistan Civil Aviation Authority (CAA) official website on following link now should be updated with latest info & photos of the upgraded airport. Gulf Air Airbus A320 (A9C-AF) served by a boarding bridge at Faisalabad Airport photographed on February 8, 2018. 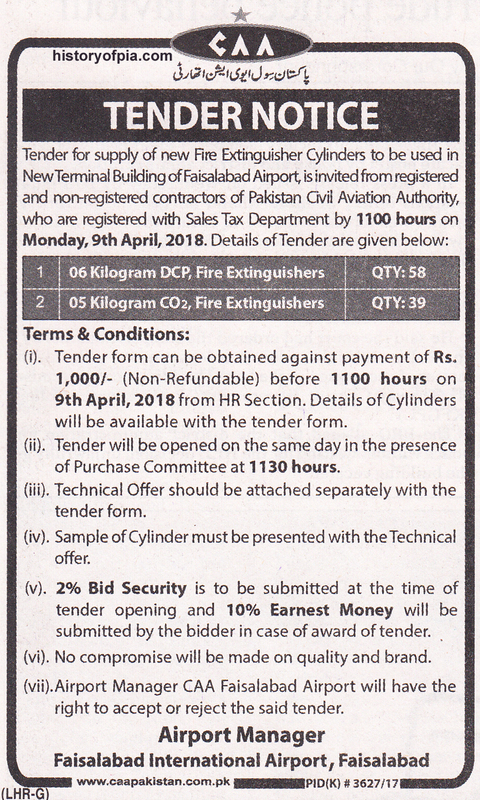 Pakistan Civil Aviation Authority (CAA) tender notice in March 29 newspaper for supply of new fire extinguisher cylinders to be used in new terminal building of Faisalabad Airport. 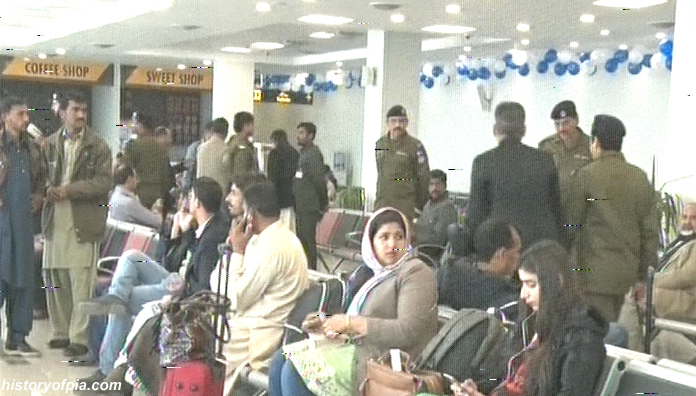 Two separate high-level teams would visit Faisalabad International Airport next week to review the expansion of existing runway and evaluate airport's cargo handling potential. 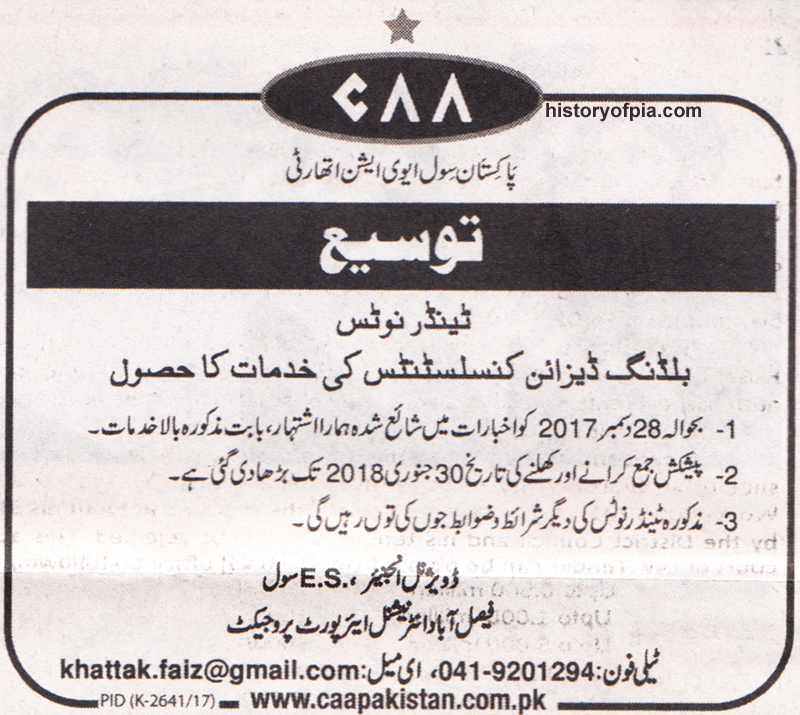 Pakistan Civil Aviation Authority (CAA) advertisement in March 23 newspaper to pre-qualify contractors for Faisalabad International Airport secondary runway existing surface (rigid) improvement/rehabilitation. Asphalt overlay on runway surface. 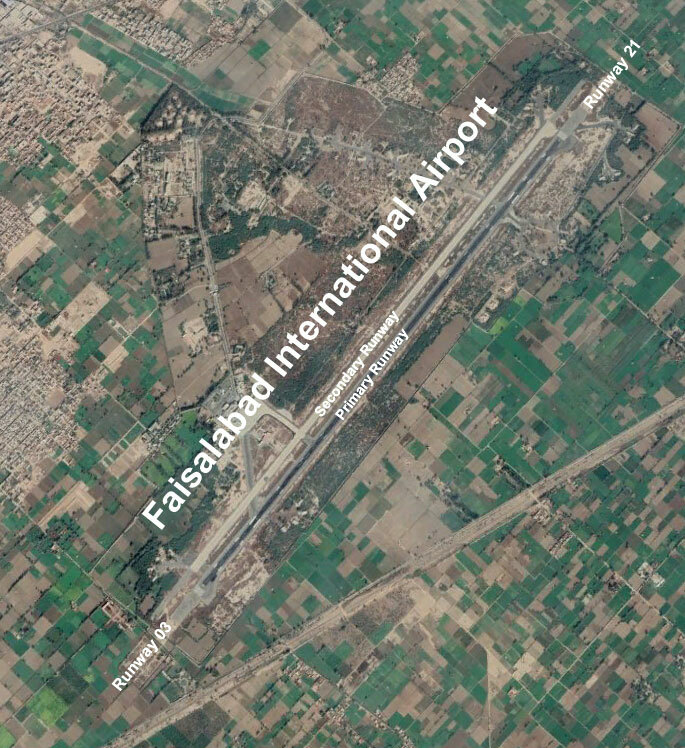 Faisalabad primary runway 03/21 and secondary runway.